i know some of you have been asking for this (including me). I don’t want to get anyone unduly excited here, so I’m not making promises. 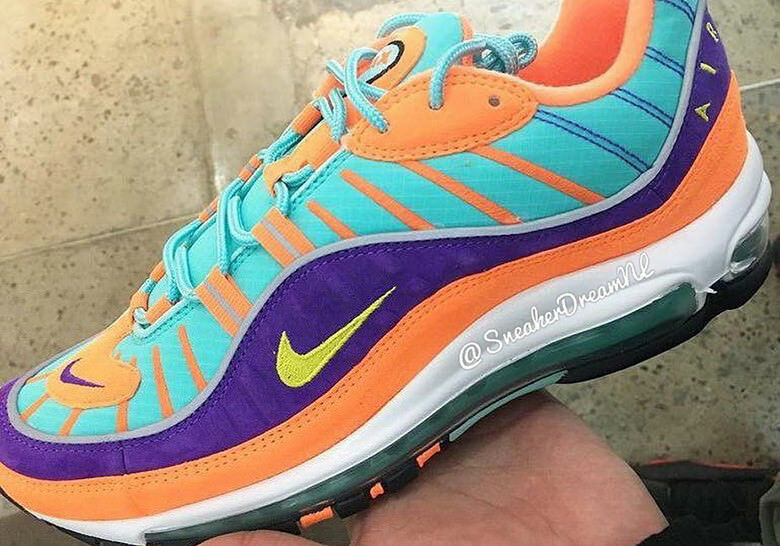 I’m not sure if there is a Nike Air Max 98 retro scheduled for 2014. Truth be told, this is the first I’ve heard of it. That being said, these ostensibly new photos were passed along to me and . . . see for yourself. 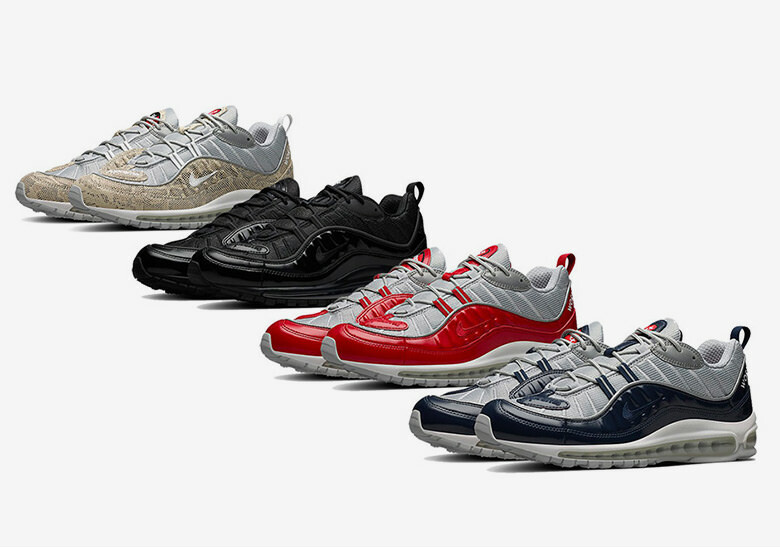 It’s definitely three colorways of the classic (if underrated) turn-of-the-century running model, with its leather overlays, inset mesh, full-length Max Air bag and just an overall unique aesthetic. Rather faithful to the original, too. They’re even carrying a seemingly authentic style#. So, take it for what it’s worth, grain of salt and all that. But if a pictures worth a thousand words, there are 3000 below. Stay tuned for updates. 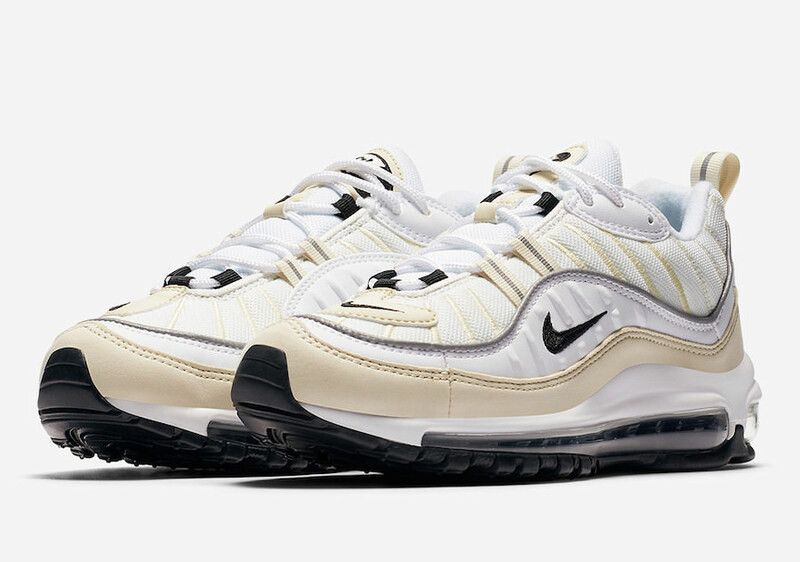 Air Max 98 "Tour Yellow"
Air Max 98 QS "Thunder Blue"
Air Max 98 "Triple White"
WOMENS Air Max 98 "Fossil"
The Nike Air Max 98 is in full effect for 2018, and we can tell that the hype around this sneaker is increasing as each new colorway is revealed. 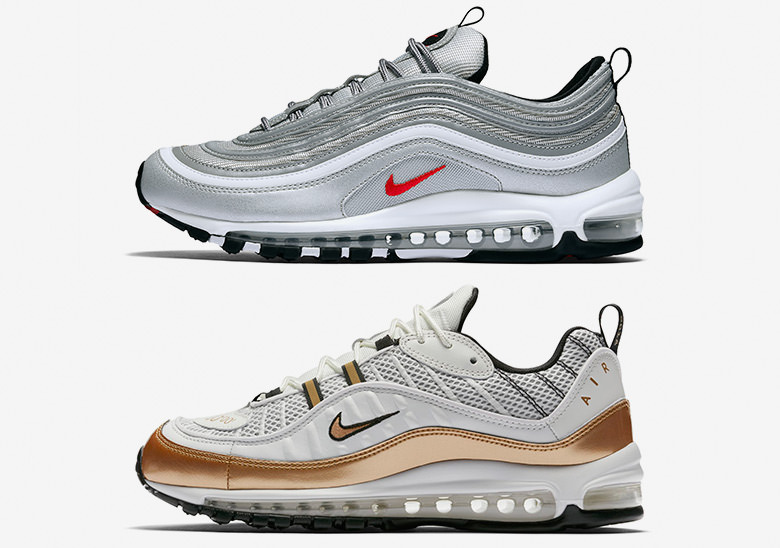 While the 98 model is certainly not as storied as the recognized “flagship” models like the Air Max 97, fans of the bubble remember the shoe fondly – and the mainstream is just now jumping on the bandwagon. Here’s a list of ten things you should know about the “it” Air Max shoe of 2018, one of the most underrated sneakers in Nike’s cushioning legacy. 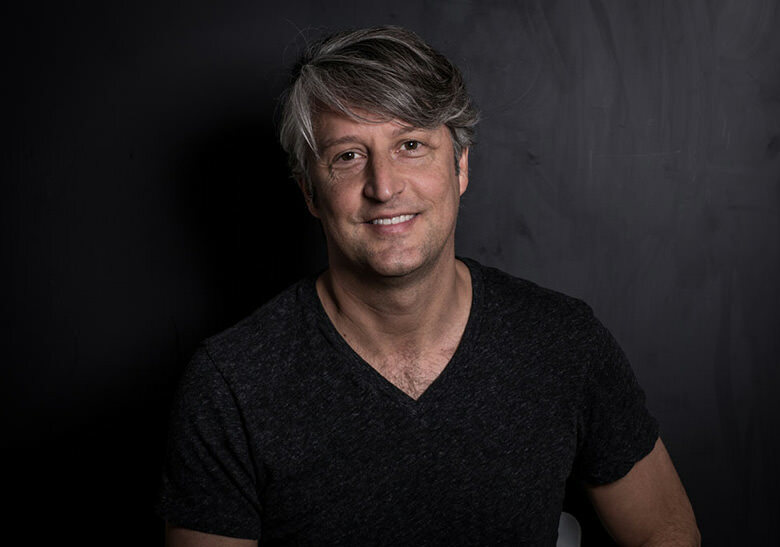 The Nike Air Max 98 was designed by Sergio Lozano, who designed the Air Max 95. 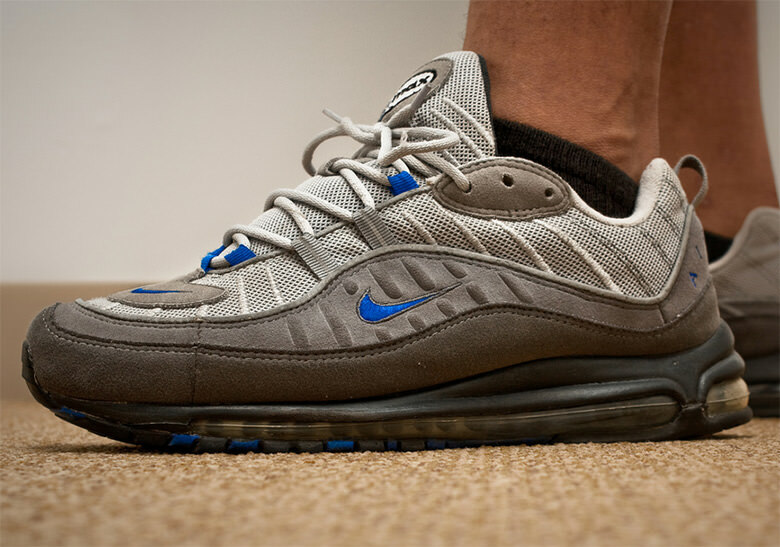 When the Air Max 98 first released, it was a somewhat of a flop for several reasons – one being the $150 price-tag. Most pairs went on sales racks. 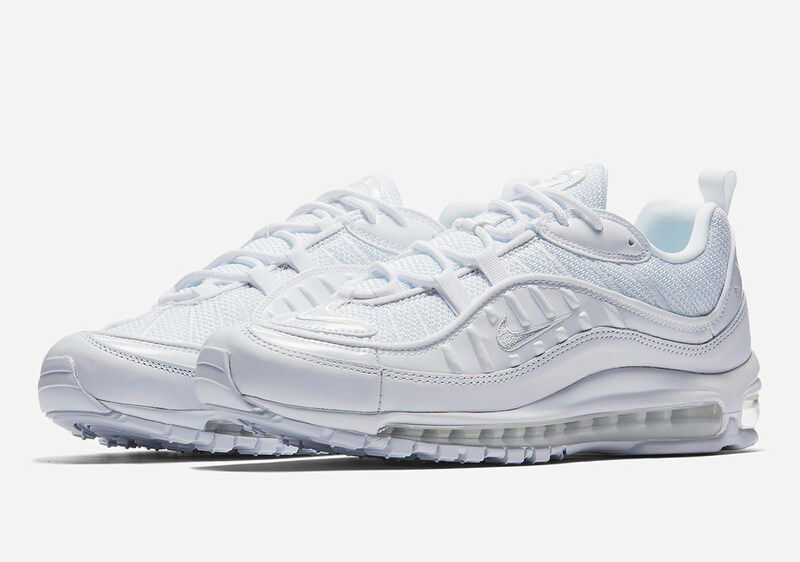 Much of the hype around new Air Max models was the redesigned Air bubbles. The 98, however, recycled the full-length Air unit from the 97, which took away from allure. 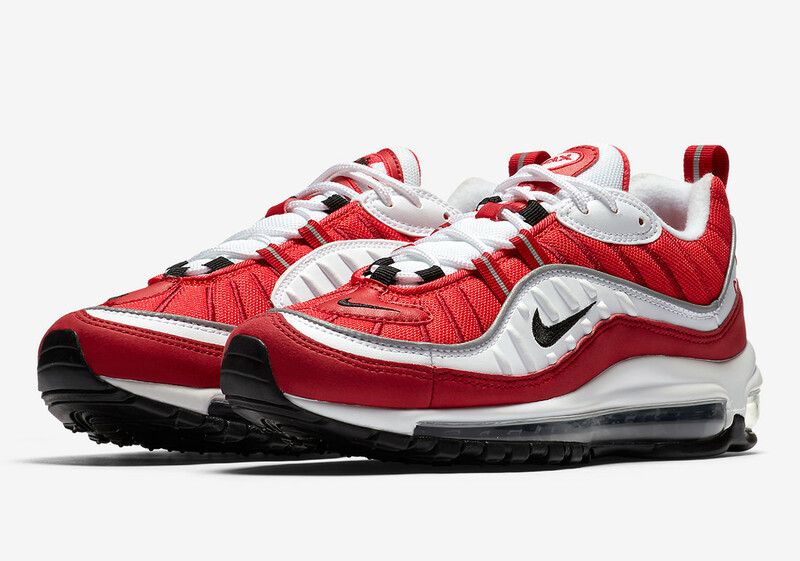 The Youth sizes of the Air Max 98 used the sole for the Air Max 95. 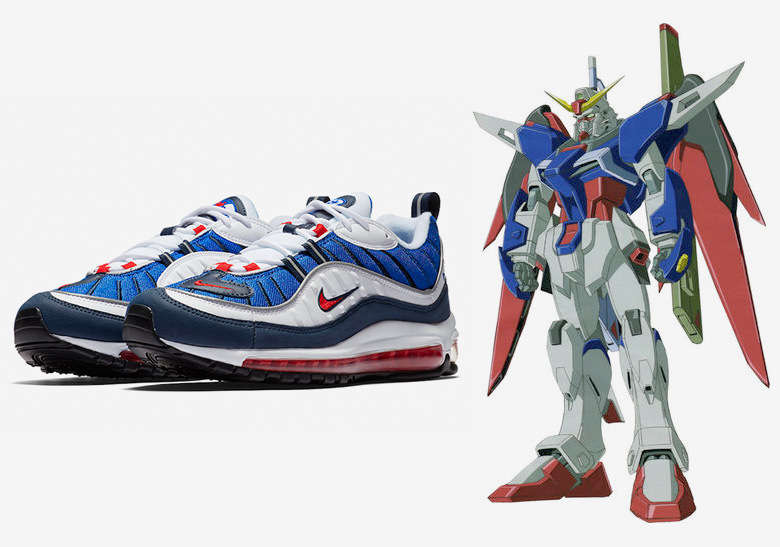 This OG colorway is called “Gundam” because of its resemblance to its mecha-based anime of the same name. However, there was never any collaboration between Nike and the anime. 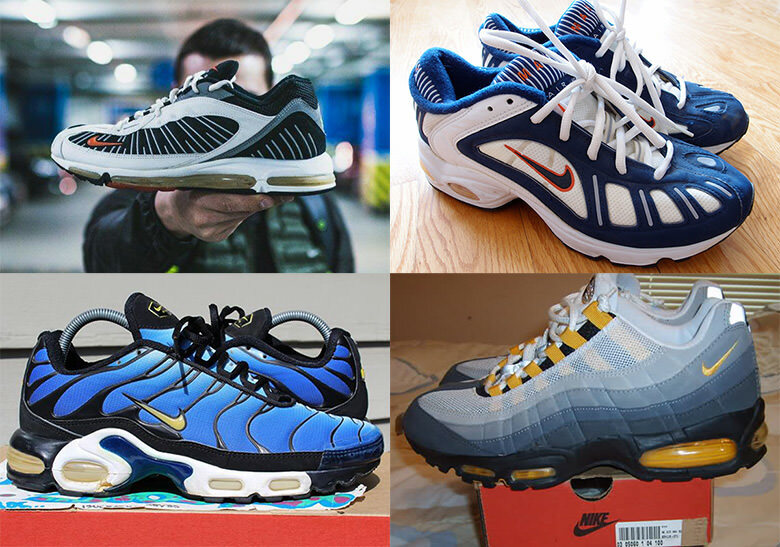 Nike released several new Air Max models in 1998 that were way more popular; the Air Max 98 TL, Air Max Tailwind III, Air Max Plus, and retro of the Air Max 95 overshadowed the Air Max 98. 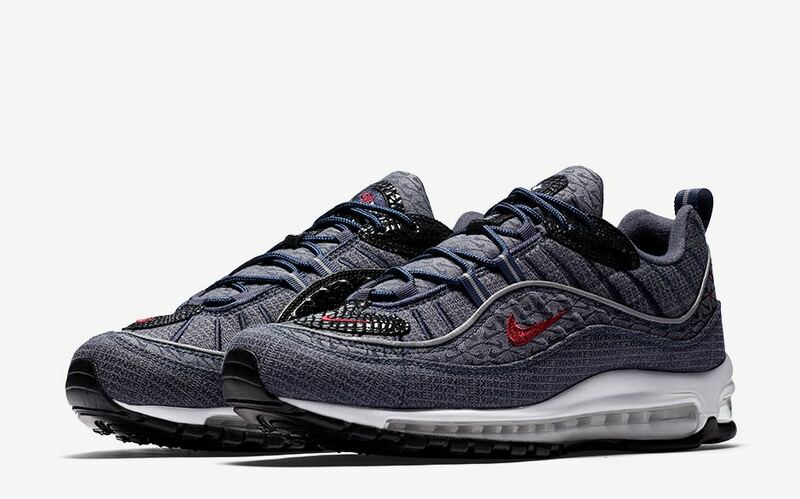 The Air Max 98 first retroed in 2000 with colorways inspired by the Air Max 95 as we all as other exciting colorways. 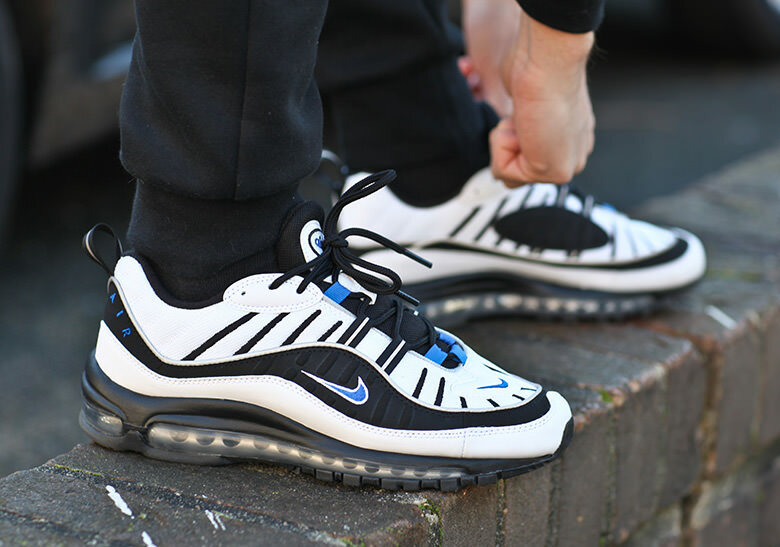 The Air Max 98 retroed again in 2014 in original colorways as well as new ones. Again, most of them appeared on sales racks for under $100. 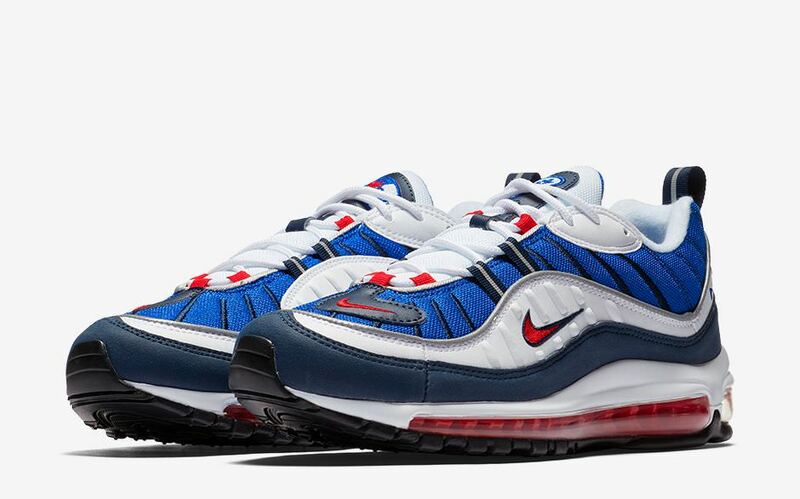 Supreme’s Air Max 98 collaboration in 2016, which featured four colorways, were inspired by Prada’s America Cup sneakers. 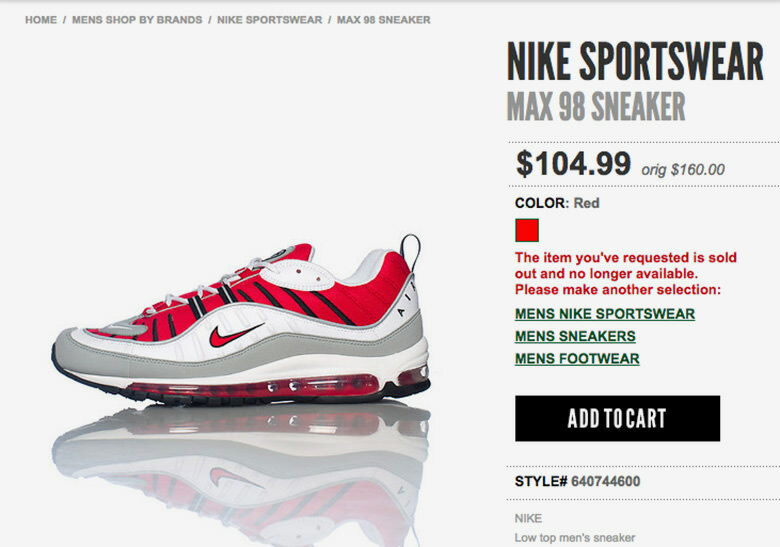 The 98 was simply hated on by Nike. In 2005’s “History of Air”, the model wasn’t mentioned. 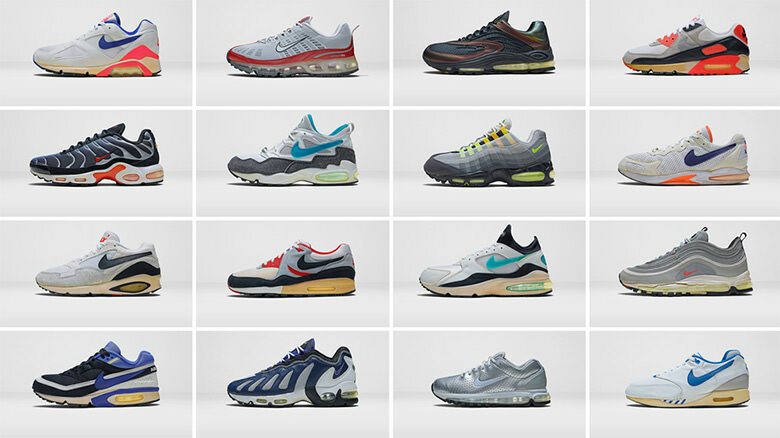 In 2015’s Air Max Day tribute to the history of Air Max, it was again excluded. good for you cats that like runners,no question its a no go for me. Great news, I hope it's a wide release so that anyone that wants a pair can get at least one. I've always wanted a pair of Gundams. Now if only they'd do the 96 and the regular and light 94s. 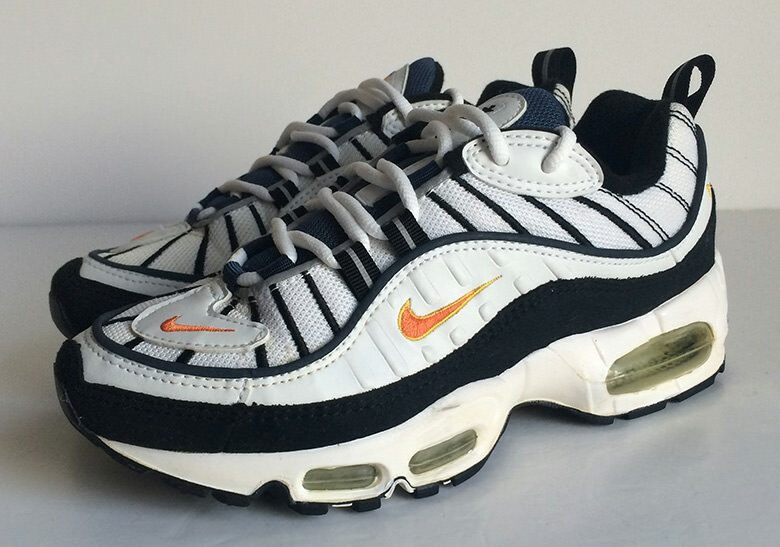 i remember these being left in da cold in 1998 when da air max plus (tuned airs) got all da shine. missionretroair and AIRMAXDISCIPLE like this. Gimme the Michigans and I'm all set. rob1ne, jordanhead718212, superblytrife and 2 others like this. Really looking forward to these. 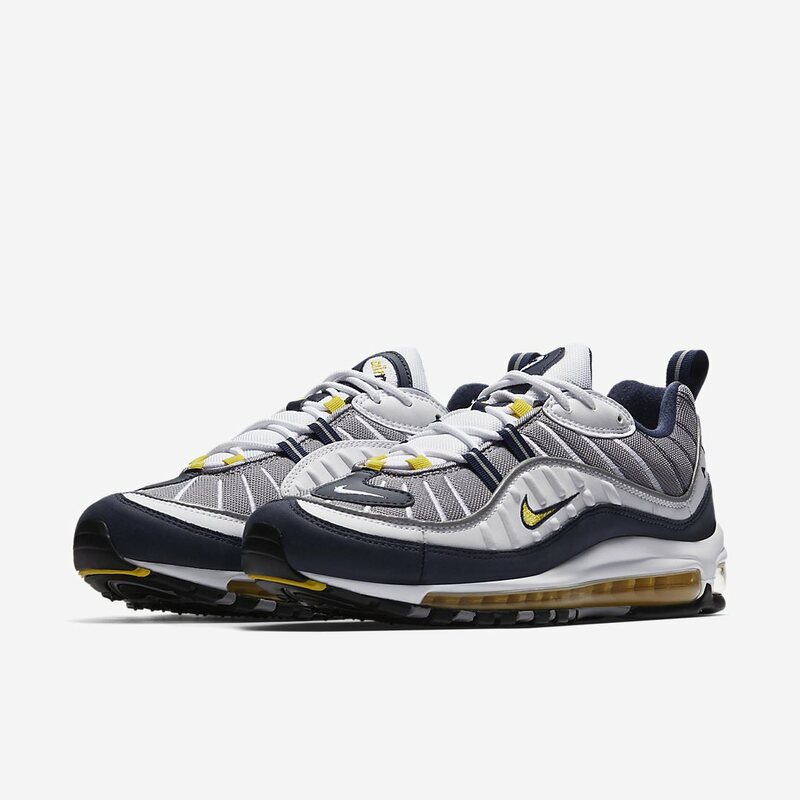 I hope they also do the 96s at some point but I'll be happy with these for now. mints and nineteen92 like this. Top and bottom will be copped for sure..
Gundam 98s and those neon/volt ones are my early favorites. Those teal ones will probably go straight to the outlets. If these are the initial three to release, that's a good thing. 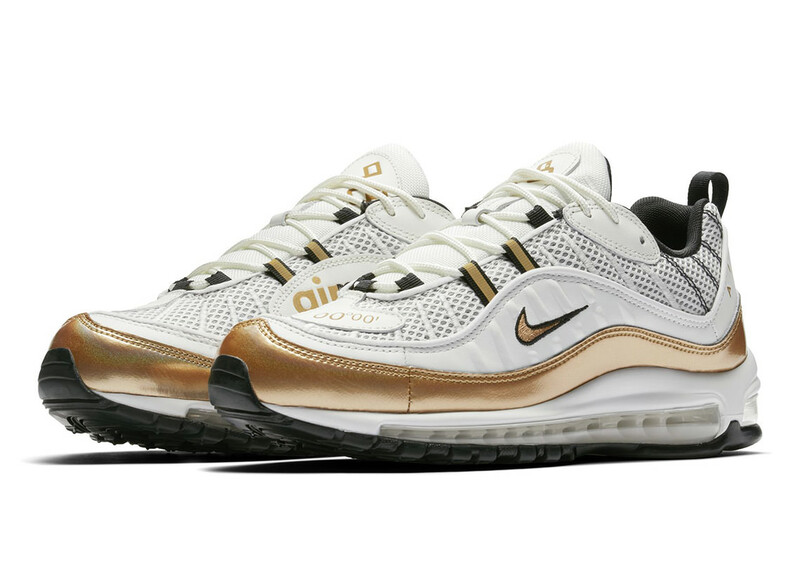 Yes yes, finally , wouldve been nice to see the Tuned air in the bronze/saturn red cw comeback next year, prob too much to ask 4. This is great news! Sounds like 2014 will be an expensive year! I was going to say as well. I preferred TN1s over 98s but Gundams are a necessity.